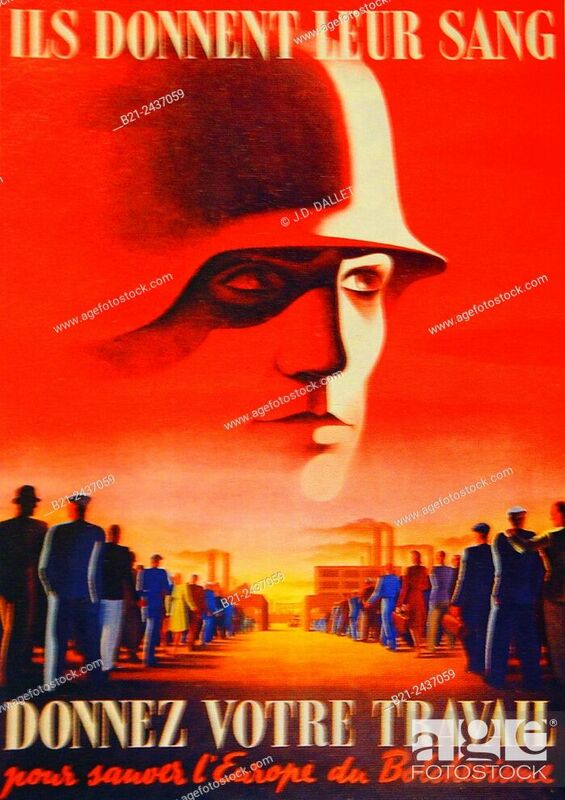 Stock Photo - France- World War II- Poster, 1942, for people to go and work in Germany. . (""They ( the Germans) give there blood, give them your work,to save Europe from Bolchevism. . "").